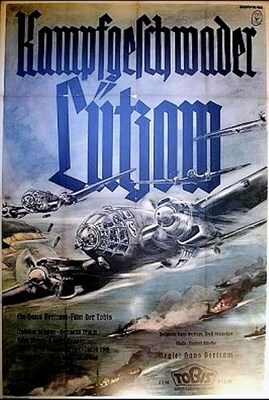 In this 1941 film, a Luftwaffe squadron is deployed in the war against Poland. In a daredevil move, the pilots take it upon themselves to free Volksdeutsche prisoners from the clutches of Polish soldiers. The Germans, of course, come off as valiant and heroic; the Poles aren't shown to be quite as gallant. 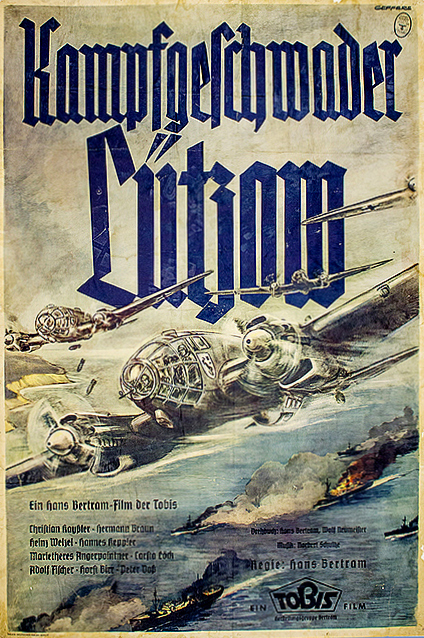 At the film's conclusion, the heroic Luftwaffe pilots embark on their first mission against England. Some of the best recreations of the battles for Poland I've seen to date — nice aerial photography and music, beautiful aircraft, no mock-ups but the real things. The He.111 is the real star, shown in detail outside and inside; the bombers are protected by the rare Messerschmitt Bf.109 Dora, attacked by B-534 (ex-Czech, for Polish PZL P.11) and ex-French Curtiss H75. Even the Polish planes burning on airfields are authentic! 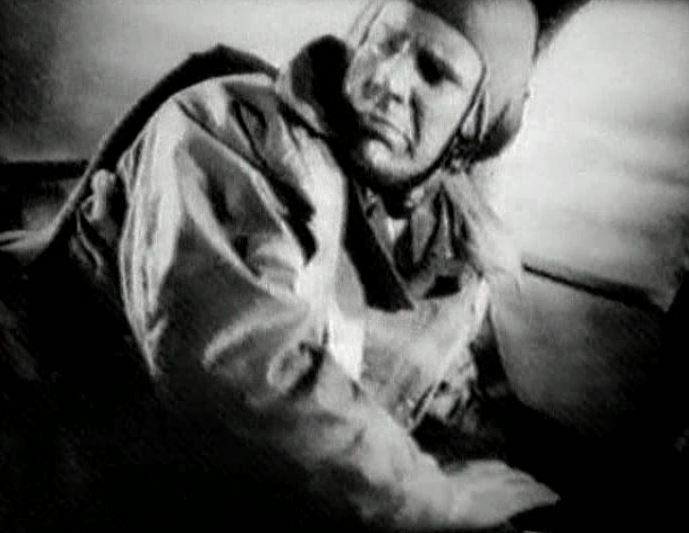 Director Bertram was the right choice for an aviation movie: a flyer, a former aviation adviser to China, and an aviation writer. Norbert Schulze provides a lot of the music for the film. NS-Fliegerfilm in der Nachfolge von "D III 88": Ein Kampfgeschwader wird im Krieg gegen Polen eingesetzt; in einem tollkühnen Einzelunternehmen befreien die Flieger deutsche Gefangene. 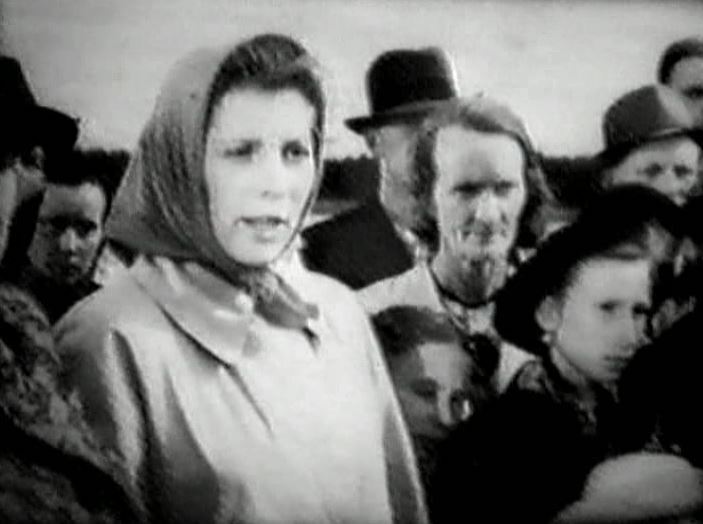 Der Film propagiert das Soldatentum, stellt die Deutschen als tapfere Helden und die Polen als grausame Peiniger dar und will damit im Nachhinein den deutschen Überfall auf Polen rechtfertigen. Am Ende fliegt das Geschwader die ersten Einsätze gegen England. In German with no subtitles. Approx. 98 mins. 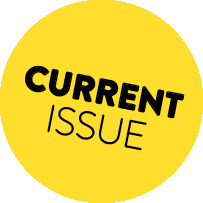 See film sample for audio and video quality! This movie is an extreme rarity -- a WW2-based movie produced by Nazi Germany. 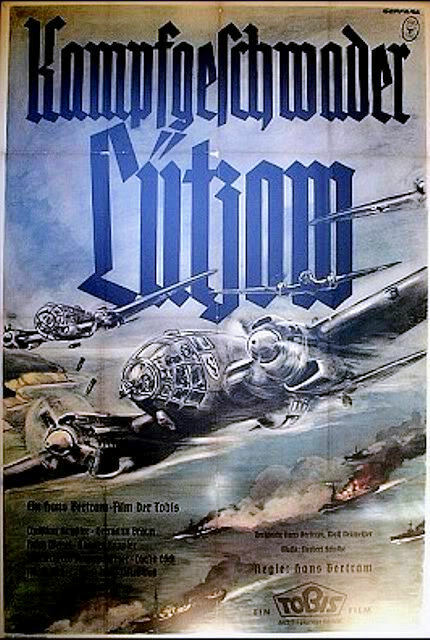 There were only a handful of these made (most war movies made during the III Reich were about historical wars or WWI) -- U-Boats Westward, Stukas, Over All In the World, etc. and KG Luetzow is one of the better ones -- it's got combat flying, a daring commando raid behind Polish lines, squadron drama, etc. Unfortunately my high school level of German made understanding much of the dialogue a trial. I do wish they'd subtitle this -- I'd buy it again. But for those with a good command of German and an interest in this type of movie it's a great bargain.